Malaysian marketing firm shopper360 has been listed on the catalist board of the Singapore stock exchange. The listing is a “big step forward” for the company as it celebrates over thirty years of history within the shopper marketing industry, according to the press statement. 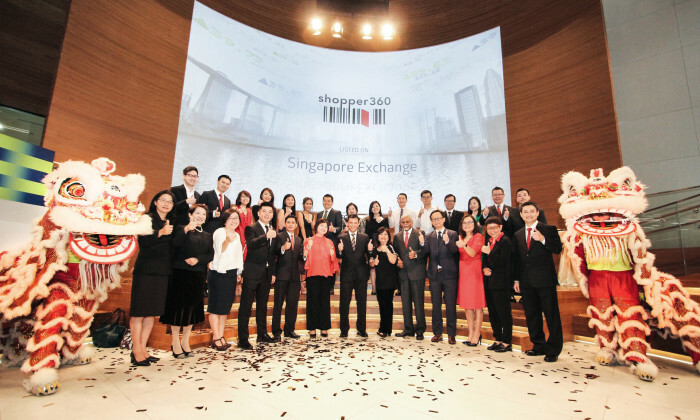 With the listing, shopper360 hopes to bring its services to ASEAN. According to Chew Sue Ann, executive chairman and group managing director of shopper360, it plans to expand its service offerings, as well as network of customers and retail partners in both Malaysia and overseas. shopper360 will also explore acquisitions, strategic alliances and joint ventures. It also intends to embrace the rise in retail technologies through the use of Shopwave, its mobile app that detects a shopper’s presence at participating outlets. “Shopwave will allow us to understand shopper behavioural patterns in a deeper way and allow us to customise shopper solutions more effectively for our customers. Knowing how to cleverly use data and make the shopper experience more exciting is the way of the future,” Chew said. According to the press statement, shopper360 has displayed continuous growth in revenue despite retail sales in Malaysia slowing down over the last few years due to the rise in consumer goods prices. Chew attributes this to “the synergistic nature of [its] business segments”, which enables the company to provide integrated solutions to its customers due to its understanding of product categories, shopper behaviours and what influences their buying decisions. Founded in 1986, shopper360’s business comprises three main segments: in-store advertising and digital marketing, field force management, as well as sampling activities and events management. Its clientele includes local and multinational customers in both FMCG and non-FMCG industries such as food and beverage, personal care, technology and pharmaceuticals. Sam Cassels, CEO of Publicis Singapore has left the agency after a three-year stint in the role. ..